Ideas + Advice : How To's & Advice : What is Hygge? Part cozy, part intimate, part relaxing...no matter how many adjectives you throw at it, this Danish term sums up the concept of friendly, comfortable entertaining into one simple word. 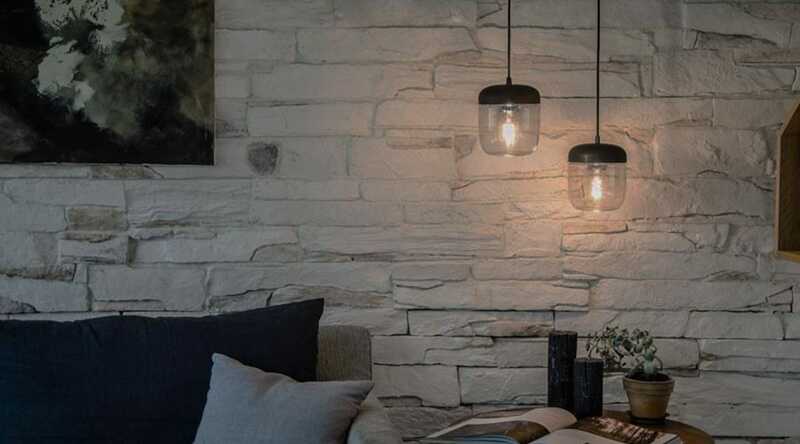 Scandinavian design is renowned for its simplicity; impressively austere silhouettes, natural finishes and a muted palette are hallmarks of the movement. While the Danish modern look can lean toward the minimalist, another tradition from the happiest country on earth transforms their spare spaces into comfortable gathering places ideal for cuddling up with loved ones and making the most of a wintry night. The concept is hygge, which is a Danish term that has no direct translation into English. Sometimes summarized as “coziness” or “nostalgia,” the idea of hygge is better understood as a combination of those concepts, with a dash of relaxation and the all-important ideas of simplicity and socialization mixed in. It’s spending an evening with your dearest friends, tucked up by the fireplace and finishing a bottle of wine over an old photo album. Cold weather, worries about work, talk of politics are banished by the warmth of the hearth and a plate of cookies, if only for the night. To celebrate with Danish style in your own home, try these simple suggestions that will get your holidays hyggeligt. What would you do with 17 hours of nighttime? The Danes light a candle and cozy up indoors. The right lighting is key to the authentic hyggeligt home, though it might not be practical (or safe) to have an open flame in your home. If you have curious pets, clumsy little ones or just prefer an electric option, keep your lighting low to imitate the glow of candlelight. Fixtures with vintage style Edison bulbs put out little usable light but create a comforting warmth. Warm-white LED and incandescent lights can also create a soft look when installed with a dimmer. And countless Danish-designed lights are purposely glare-free with your ultimate comfort and practicality in mind. Well-designed seating is a must for getting cozy. Gently curved furniture with plush upholstery is your go-to style to up your home’s hygge factor. Look for soft, velvety fabrics and light woods to embrace the Scandinavian look all year round. Your seating should be comfortable and supportive to encourage leisurely conversation and hours of lounging. A mix of pieces (e.g. a loveseat, fluffy ottoman and mismatched lounge chairs) adds to the intimacy of your space—just keep the palette and proportions in mind to avoid a hodgepodge look. There’s no better way to get cozy quick than with the right accessories. Cuddly throws and pillows not only add comfort to any seating arrangement, but they’re also an easy update for seasonal transitions. Stormy weather calls for thicker blankets and cushy cushions in fuzzy, warm fabrics like merino wool. Swapping out your sofa cushions and throws is also an opportunity to add a punch of color or pattern to offset winter blues. Finally, sharing a meal or drinks with your loved ones is a key point of entertaining with hygge. There’s no need to fuss about table settings or which fork is correct, though. Embrace the easy, casual feeling and go for your favorite serving pieces, whether they’re formal or fun. Of course, beautiful design can always be a talking point among friends, so don’t be afraid to trot out the fanciest piece you own. As long as it brings you and your guests joy, nothing is off the menu.